As an introduction to Pays d’Issoire, here are 8 not-to-be-missed sights to see during your trip to Auvergne! This is the real must in Pays d’Issoire, our 12th century “star”. Magnificently well preserved, the Saint-Austremoine abbey church is one of the five major churches in Lower Auvergne. Of all of them, this is without doubt the biggest and most decorated. The walls were entirely painted in the 19th century, and their striking hues revive the highly colourful atmosphere of Romanesque churches. Don’t miss the magnificent capitals with their narrative scenes in the choir, depicting the Easter cycle. Outside, the chevet is also beautifully composed: the terraced structures are superimposed like a pyramid. It is beautifully enhanced by two-coloured stone mosaics and a zodiac displayed above the windows. The village of Montpeyroux is 25 minutes from Clermont-Ferrand and 15 minutes from Issoire, and is easy to see from the motorway because of its towering keep. Built on a hill on the banks of the Allier, this is a small, picturesque medieval town. For a long time, it was famous for its arkose quarries, a local rock with ochre and sand colour giving the houses their warm colour. In the labyrinthine streets, winemakers houses and private mansions bear witness to the town’s rich wine-producing past. Today, artists and craftsmen have taken up residence here. Perched up on a volcanic hill, the village of Usson, 15 minutes away from Issoire, was the site of a large fortress in the Middle Ages, “the strongest in the kingdom“, according to some. In the 16thcentury, Queen Margot was imprisoned here for nearly 20 years. Despite this forced exile, Margot made Usson one of the most refined courts of the time, where poets, musicians, singers and nobles gathered. 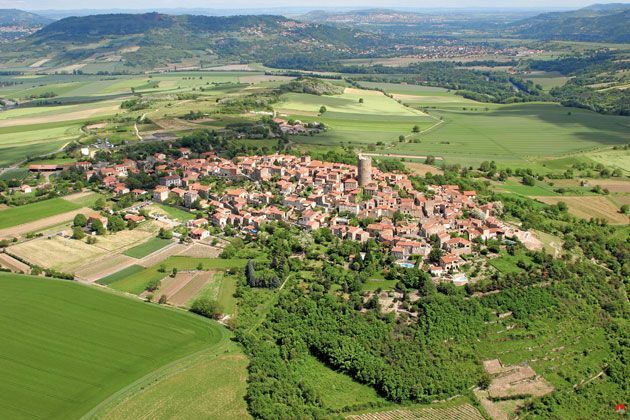 The fortress was destroyed in the 17th century, but the village has kept alive the memory of Queen Margot. 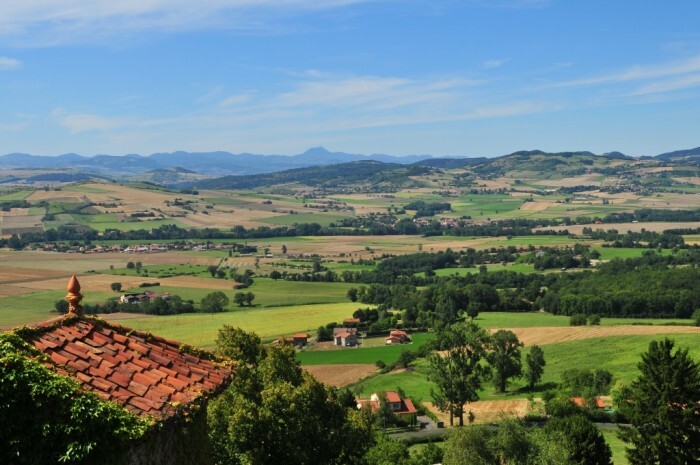 At the top of the volcanic hill, 639 metres above sea level, the town provides a wonderful view over the mountain chains of Le Puys, Le Sancy and Le Cézallier. On the way, you can see the basalt columns. 3) A Western atmosphere in Auvergne in the Vallée des Saints! 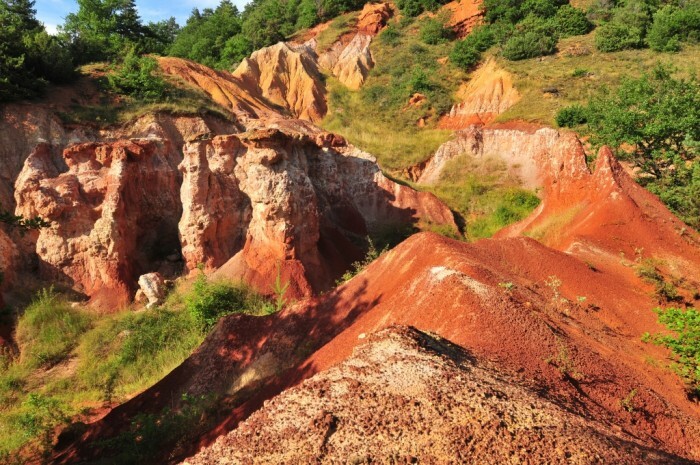 Unlike anywhere else in Auvergne, the soil in the Vallée des Saints is red, bluish-purple and white, like the landscape of a Western! The soil has been sculpted by erosion and has been formed into strange clay silhouettes that are called “fairies’ chimneys” or “stylish ladies”. A hiking trail leaving from the village of Boudes leads to this original site. Few people know that Auvergne is also a wine-producing region. 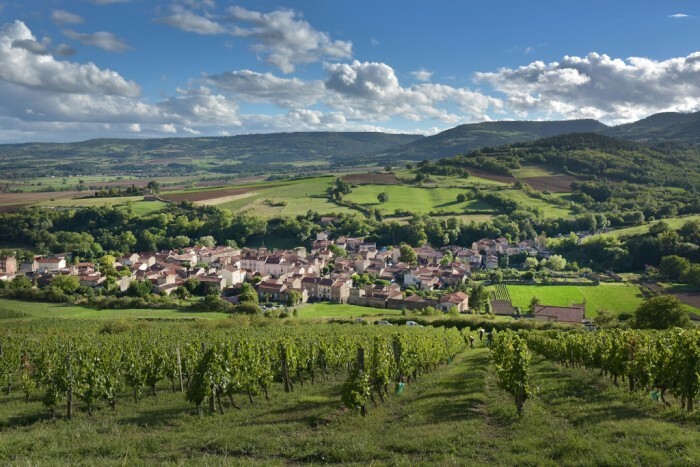 Thanks to a particularly favourable climate, Pays d’Issoire has a long winemaking tradition. This can still be seen today by the winemaking architecture of many houses in Pays d’Issoire. At the end of the 19th century, the Puy-de-Dôme department was even the 3rd biggest wine-producing department in France. The industry declined, but today some enthusiastic winemakers are bringing the vineyards back to life, producing one of the most famous wines in Auvergne with the Côtes d’Auvergne from Boudes. To be tasted at our winemakers’. Don’t leave Pays d’Issoire without visiting le Cézallier! 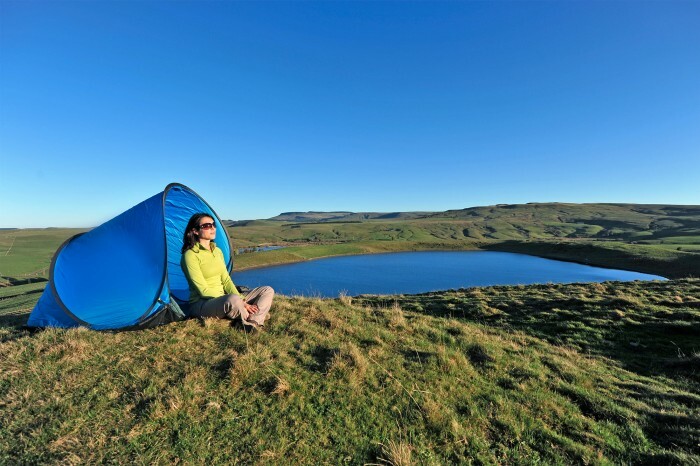 The land here is sometimes compared to the steppes of Mongolia or to the Scottish highlands – far from the noise, the hustle and bustle and the crowds it leaves nobody indifferent! A volcanic mountain range reaching 1000 metres above sea level, its curving, bumpy plateaus were moulded by glaciers. Between the Mont Dores and the Monts du Cantal, these lands are now pastureland, containing a large number of treasures: lakes, peat bogs, waterfalls and Romanesque chapels. A destination not to be missed if you love hiking, bike touring, mountain biking or simply wide open spaces and peace and quiet! Not to be missed if you want to try some of Auvergne’s regional specialities, Issoire market is the second biggest market in the Puy-de-Dôme department. Around the colourful Place de la République, the streets of Issoire come to life every Saturday morning. 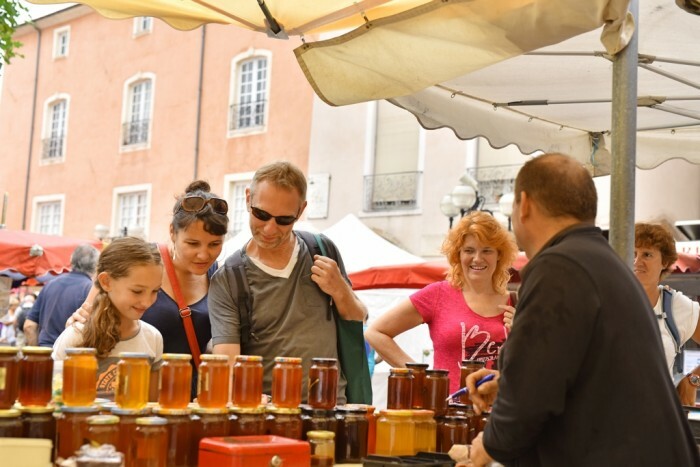 Don’t hesitate to take the plunge along the market alleys displaying cheeses, sausages, vegetables and other local specialities. This is a great opportunity to taste all the best of Auvergne at very reasonable prices! 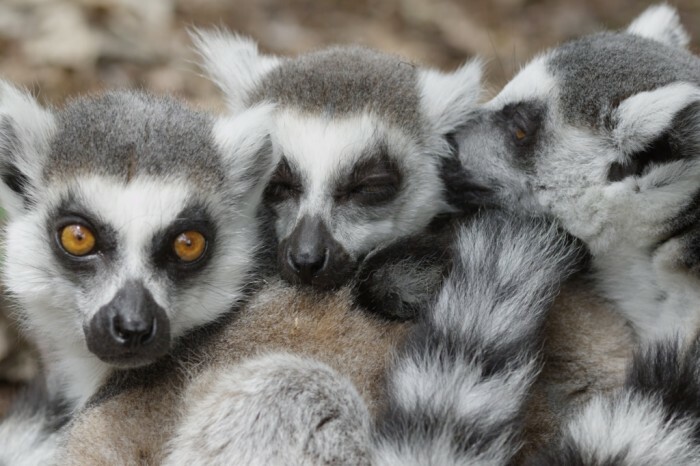 In Ardes-sur-Couze in Le Cézallier area, 25 minutes from Issoire, the Auvergne Animal Park was ranked among French people’s ten favourite zoos in 2015. 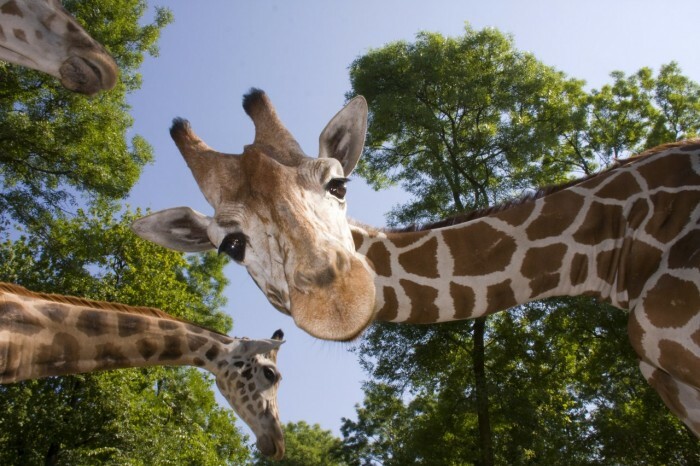 In an exceptional natural setting and on over 25 hectares, the park is a total immersion in nature and the animal world! Specialised in the animals living on the world’s summits, the park is a home to 400 guests from five continents: lions, tigers, panthers, hippopotamus, yaks, red pandas, lemurs, giraffes, zebras, monkeys, lynx, reindeers… And for a unique and unforgettable visit, you can even become a vet’s assistant for the day! The amethyst is a purple semi-precious stone from the quartz family. In Auvergne, it can be found in the Livradois hills, around Vernet-la-Varenne. This is the most important vein in France. The stones from this vein were very popular in the Middle Ages, and were exported as far as Switzerland and Spain to make jewellery and ornaments. During the 20th century, mining in Auvergne declined little by little, but today, at Amethyst House or Amethysts of Auvergne, you can see the amethyst veins and, like a precious-stone miner, try to find some of these purple stones on the ground. Come and visit the Auvergne! In the heart of France, the Auvergne is the definitive land of volcanoes. 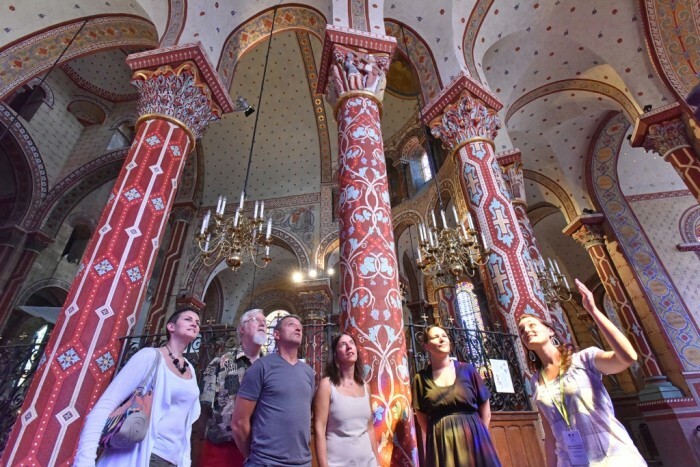 Come and relax amidst the magnificent landscapes that this region, rich in culture and history, has to offer and experience the vibrant city of Clermont-Ferrand, whose social life revolves around its rugby matches and its music and short film festivals. The Auvergne is bursting with tourist attractions such as Vulcania, a scientific theme park for the whole family. A land of fire and water, with eleven spa towns, Volvic and Vichy amongst them, the diversity of the Auvergne means there is something for everyone!